What Is Noby Noby Boy? 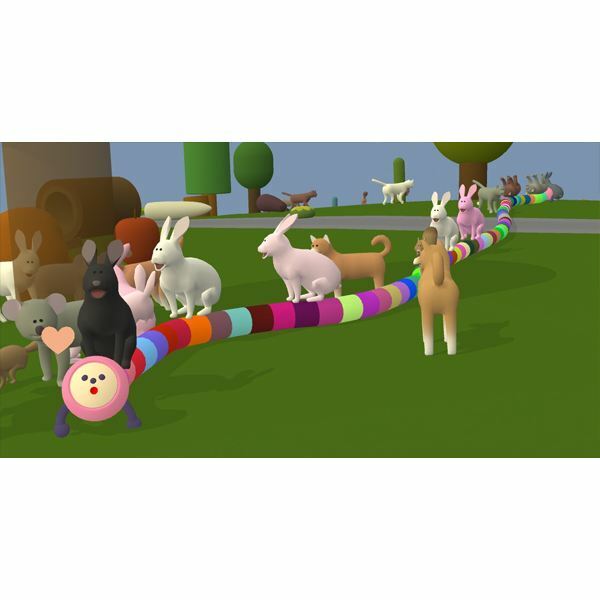 Noby Noby Boy is a peculiar experiment in emergent gameplay through a limited rule-set. Mimicking the structure found in Conway’s mathematical paradigm known as the Game of Life, Noby Noby Boy challenges players with nothing more than the existence of random objects and living creatures, smattered across a pre-ordained landscape. This reliance on player input and emergent mechanics gives rise to one of the best games of this and perhaps any generation; realising the potential for games to create a story without the game’s developer actually telling it. The game does have a few achievements to aim toward, with a befuddling set of mechanics designed to coagulate the gameplay, which entail reporting the stretched length of BOY to GIRL in a quest (undertaken by all of Noby Noby Boy’s community) to stretch itself across the solar system. Although these coatings end up becoming perfunctory to the game itself and it should be noted that they confide in a sense of collectivism as opposed to reaching a plateau atop a leaderboard. Knowing that you’re helping GIRL reach a new planet by stretching BOY isn’t a principal reason to play the game (at least for the majority) but it serves as a reminder of the games crude communal aspect. This reliance on gameplay and setting to reinforce meaning isn’t particularly new, as I’ve explored in an article dealing with games as art, there are plenty of games that try to reinforce something through interpretation (Braid, Flower or PixelJunk Eden). However, many games fall into the trap of coining faux-challenges or needless advancement, in order to merit the games existence. This trapping is one which many releases fall into; often superseding the requirement for meaning in favour of easy empowerment or “fun”. As an example, the use of constant streams of “street brawls” in Yakuza 3 breaks up the fundamental principals held in the game, absorbing the atmosphere of a rowdy Tokyo ward. It would be amusing to note that the challenge is often what drives us in games, like the “street brawls” or mini-games in Yakuza 3, as opposed to the context or setting and its imposed reality. 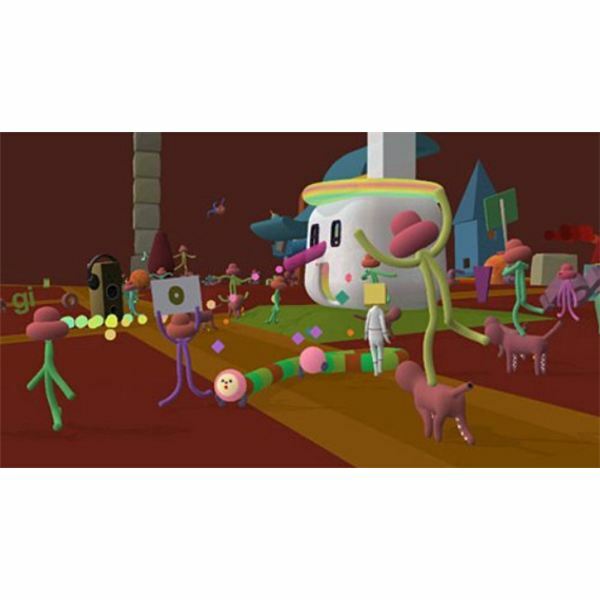 Noby Noby Boy reverses this almost over-used paradigm by wading through the needless sea of achievements, trophies (of which the game quasi-has, amusingly hypocritical as that is) and challenges found in game, requiring the player to playfully exist within the randomly generated environments instead of aiming for the inhabitants heads with bullets. Although Sandbox games such as Grand Theft Auto or Saint’s Row try to replicate that notion, they too are bogged down in the sloppy combat and advancement systems of other games, often curtailing the enjoyment found wholesale in Noby Noby Boy. Another facet of this comes from the seeming illusory layer of interaction found in these sandbox games. An example would be the circular pathfinding of cars et al in GTA IV or the static NPC’s of many role-playing games. Although the illusion and pretence is a necessary sacrifice for developers to maintain a budget and time-frame, its ever noticeable nature in games like Mafia or GTA IV is something Noby Noby Boy alleviates within its framework. Allowing for a completely randomised game board or setting creates a unique playground for the player and BOY to move around in, with each different game becoming a new instance and experience, Noby Noby Boy replicates the idiom of openness and freedom. 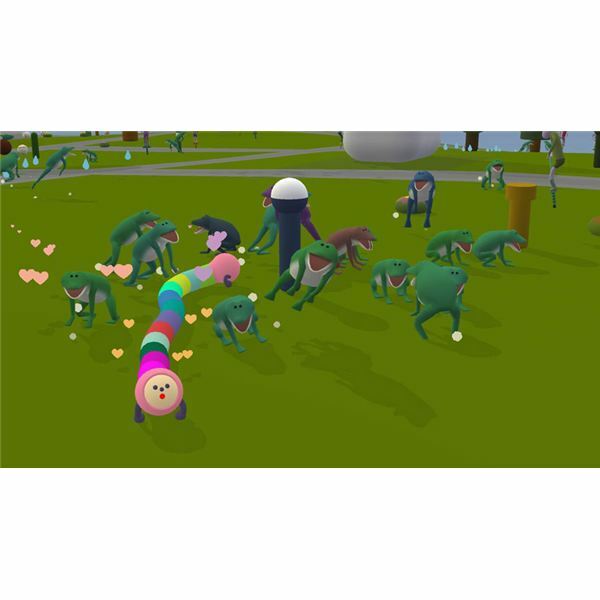 Having so many random inhabitants, objects and inserts to find or interact with helps Noby Noby Boy showcase its emergent power rather than becoming a mesh of too many elements and lacking cohesion. This is where Noby Noby Boy takes its idea and proverbially runs with it. Being able to traverse the landscape with BOY, the player will often engage many different inhabitants and objects, each providing their own independent movements and character depth. When BOY is having inhabitants jump on his back and piggy-backing them across the world, to the wonderment of any NPC’s still on the ground, Noby Noby Boy becomes more than the sum of its parts. Elevating it into a strata of gaming far above many big releases and relatively popularist game choices. Further still, seeing characters stand next to each other or bump across one another, is like watching the Game of Life take its simple input and become something far greater. As an example, whereby Halo would equate to 2+2=4, Noby Noby Boy takes the input of two-plus-two and makes it equate to something far greater. This emergence of extra numeric value based off the minimal input is what many games seem to miss on a regular basis. Instead of a universe revolving around the player character, insofar as a narcissistic gameplay dynamic, the world doesn’t necessarily have to contain said player and should encourage the idea of a living, breathing world that won’t require player input to advance or even exist. Is Noby Noby Boy Relativistic Art? It is a focus that many games should work off, the need for responsive input may not be the right design decision, allowing for more output from something with limited or minimal input by the player and even developers. The execution of this idea would likely make games more unique and relativistic to the individual, hopefully creating a relativist artistry to them, thus furthering the meaning and cultural importance of this medium. A collection of articles about Noby Noby Boy.